I finally took the plunge and bought a used full-frame camera. What are the pros and cons? In short, you can say that a full frame camera compared to a crop-frame camera is just "more of everything". Let's start with the immediately apparent downsides to full-frame cameras: they're bigger, heavier, and everything is more expensive. 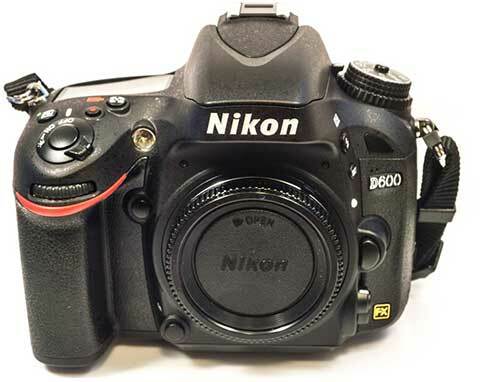 The D600 is about twice the size and twice the weight of the D3200, and the lenses are similarly scaled up. Walking around with the D3200 is "walking". Moving the D600 around is "logistics". With the D3200 I could easily fit the camera and three lenses in my backpack - with the D600 they still fit, but it's a hassle to move the camera in or out of the backpack. Fortunately, to compensate for this your wallet will be lighter - so if you carry around your liquid assets in gold coins or the like, you will certainly find that easier to carry. The FX lenses are about twice as expensive as the DX lenses. ...a full-frame camera is amazing in low light. While crop-frame cameras have narrowed the gap in dynamic range and color accuracy - the dynamic range of the D5600 is only 0.5 EV below the 14.5 EV of the D750 - the full-frame cameras have over twice the low-light abilities. While the D5600 start to fall apart at ISO 1300, the D750 holds up all the way to ISO 3000. This makes a huge difference in two cases: photographing performances and astrophotography. Let's start with performances. I regularly photograph dance performances. This requires a fast shutter, and even with a 2.8 lens I end up somewhere between ISO 1600 and ISO 3200. Notice how the full frame camera covers most of that range, while the crop-frame doesn't? In short, the full frame delivers results that are qualitatively different from the crop frame. They can be edited much more, retain much more detail, and have much better color. For astrophotography the deal is almost the same: going from a camera that maxes out at ISO 6400, to one that is just one stop above its "no problem" limit at the same ISO. But here a second advantage kicks in - all those expensive lenses suddenly make themselves something more than useless and expensive dead matter. Going from an f/4 to an f/2.4 lens gives me a total of 9 times the astrophotography power - three times better due to faster lens, and three times better due to better performance at high ISO. For any other use, the D600 is about even with my old D3200. I think so, but just barely. The advantages are only apparent for some use cases, and the weight penalty is considerable and constant. I will be carrying a full-frame on my "photography heavy" travels, for astrophotography, and for any dance performance - but it's far from given that it's the D600 and not the D3200 that will go in the bag for any other situation. Thankfully, that precisely matches my expectations.